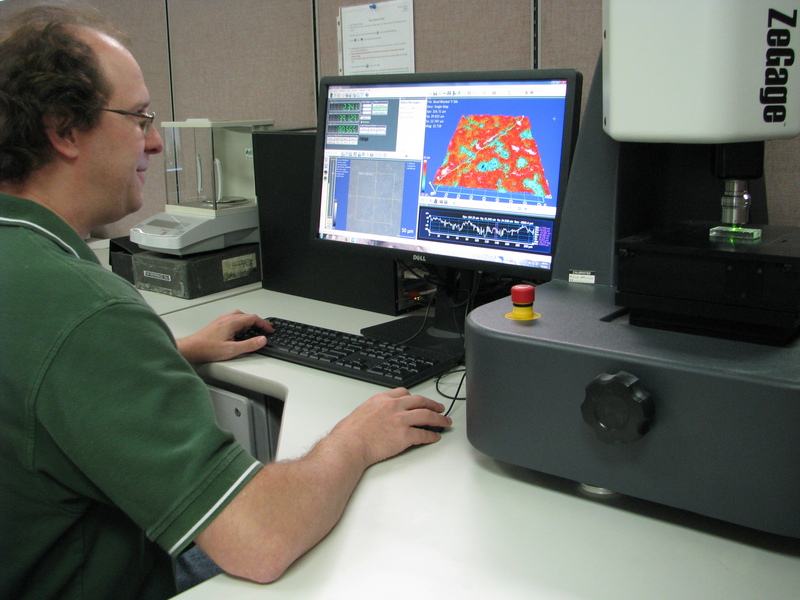 What do you include in your surface finish specification? Abrasive type and size? Blast pressure? Anything else? Like the majority of first-time MicroBlasting users, you might stop at those points. Unfortunately, this limited outline opens the door to inconsistent surface finish results. broaden your specification to accept less-than-ideal surface finishes. Phew! With this many factors, where do you start? Clearly identifying the target gives your Contract Manufacturer or job shop a better understanding of the project. It opens the door to discovery and allows for fine-tuning. Most importantly, it gives the shop a chance to develop a comprehensive guide to create easily repeatable results so you can keep that tight spec. Our Technical Support Team champions this goal-oriented approach because it gives the shop a chance to learn more about their MicroBlasting system’s capabilities. Repeatable and consistent results + knowledgeable staff = a great foundation for growth and development. “a look” to the surface finish or the type of surface texture. a Ra, Sa, and/or an Sdr. If you’re feeling generous, suggest an abrasive and a PSI. Those suggestions should be starting points and remain flexible. Blast pressure is relative to each blaster, and abrasives come in a range of consistencies. Maybe you need sharp grooves. Maybe you need softer dents. Maybe you need something in-between. Surface texture relies on the shape of the abrasive particle and the target’s composition. Grit blasting tends to produce sharp gashes on ductile materials; while bead blasting usually leaves a softer, peened shape on ductile materials. If you want to create a permanent strong and tight bond, we recommend blasting with grit. If you want to create a temporary bond, go for glass or softer ceramic media. (L) Drug-eluting stent (200x): Peened dimples hold and slowly release a drug to block cell proliferation. (R) Dental implant (200x): Sharp, jagged cuts create an interlocking surface that readily bonds to bone tissue. Your spec should cover a combination of amplitude and quantity of features. 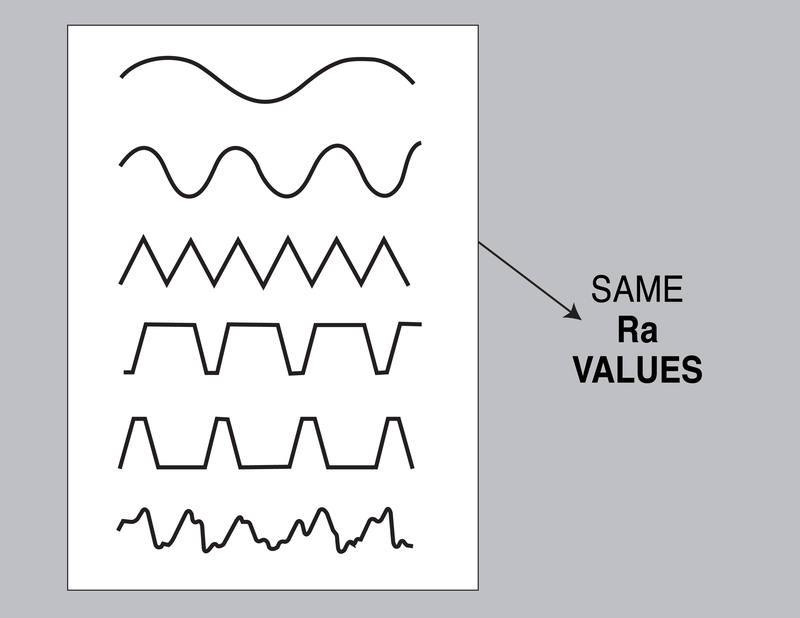 The best measure of amplitude is Ra (2-dimensional) or Sa (3-dimensional). Both express the size of the peaks and valleys created by blasting. Three things impact Ra: abrasive size, abrasive type, and velocity. Two of these variables are inputs to the system; and the third, velocity, is the result of all of those variables listed at the top of this post. Velocity has a linear relationship to Ra value. As velocity increases so, too, does Ra in a predictable and corresponding trajectory. Keep in mind that different surface profiles have the same Ra value, so Ra only tells a portion of the story. If a variation in the surface has a significant impact on your part’s performance, then take your spec a step farther and include the quantity of features needed or Sdr (Developed surface ratio.) 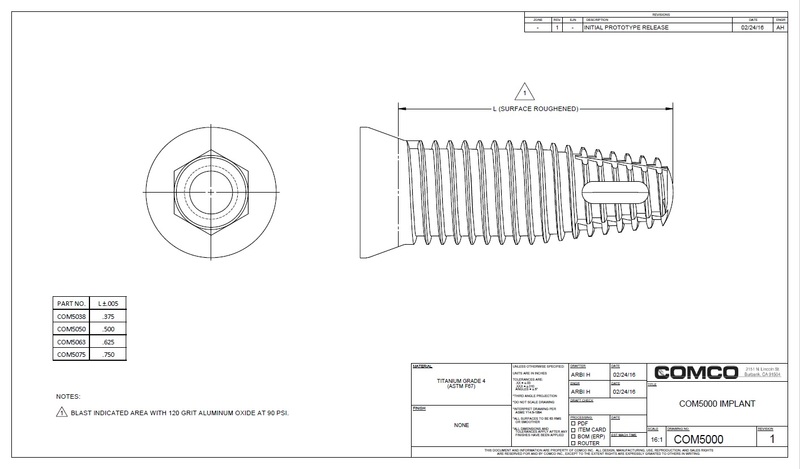 Sdr expresses the amount of additional surface created through the blasting process. Sdr paints a complete picture, but it requires more sophisticated analysis systems. Comco uses a Zygo Optical Profilometer. We use a Zygo Optical Profilometer in our Applications Lab. The closer you are to 100% or full coverage, the higher the Ra or Sa and developed surface—which maximizes the opportunities for interaction between bonding surfaces. How do you know if you have reached full coverage? Hold your part up to the light. Reflective surfaces at 100% coverage scatter light uniformly. Outside of a quick visual inspection, we recommend the Optical Profilometer, as it measures Sdr and exposes flat regions on the textured surface. Ra becomes constant at full coverage. Anything less, and Ra varies significantly. 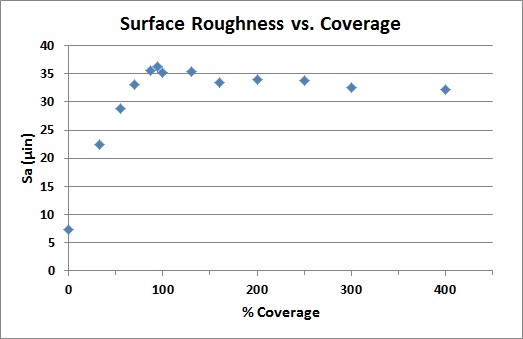 The surface roughness (Sa) vs. percent coverage for 100 µm glass bead. 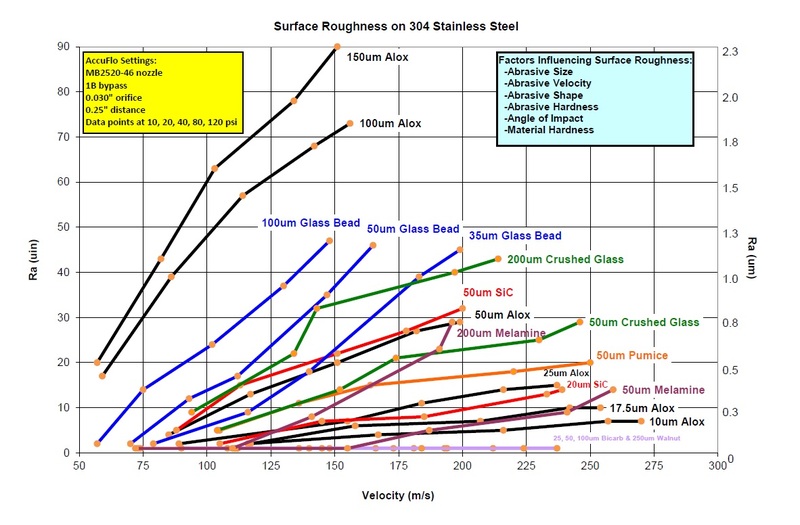 The chart illustrates stabilization of roughness once 100% coverage achieved.